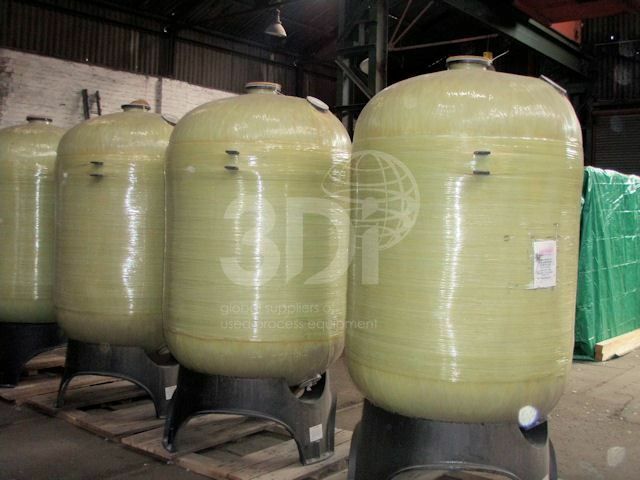 Unused 1,500 Litre GRP Pressure Vessel, built by Structural North America. PVDF Lined. Orientation: vertical, cylindrical, dished top and bottom on legs. Dimensions: 1100mm diameter, 1150mm on the straight, 350mm dished ends. Design data: Maximum pressure 10.2 bar (150PSI), maximum temp 65 degC, minimum temperature 30 degC. 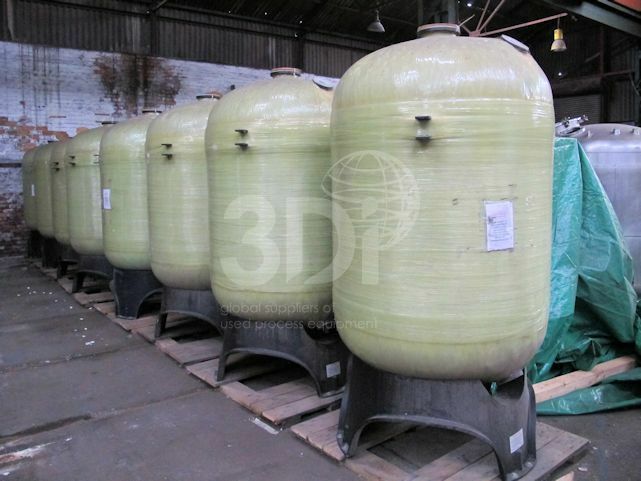 Typically used for industrial water treatment storage.